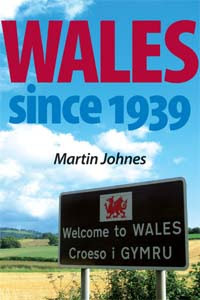 Today, on Sta David’s Day and World Book Day 2012, Manchester Univeristy Press publishes Wales since 1939 by Martin Johnes. This ground-breaking book examines the story of Wales since 1939, giving voice to ordinary people and the variety of experiences within the nation. Martin Johnes contributes to the current BBC1 (Wales) TV series, The Story of Wales. Category: History, Irish Studies	0 Comments.